You’re sure your sales reps are too ethical to use obvious dirty tricks, like outright lies or deception, to close a deal. But what about a more subtle type of deception? Some sales subterfuge tactics are so low-key your reps might be doing them without even intending to be shady. It’s December, so it’s time for those end-of-year wrap-ups, mash-ups, and retrospectives. It’s also time for companies to announce their “[Insert product or noun] of the Year 2018”. I follow a couple dictionaries on Twitter. (Even if you’re not a word nerd like me, I highly recommend it). Right now, they’re revealing this year’s wordy trends. This includes their ‘Word of the Year’, the terms they view as encapsulating the past 12 months. One ‘Word of the Year’ in particular caught my eye. I found it interesting that Dictionary.com, in this case, went with this word over its more sinister cousin, disinformation. The difference between those two terms is intent. Spreading disinformation has a malicious intent, because the person knows that the information they are sharing is false. With misinformation, the person spreading it often believes it to be true and thinks they are disseminating facts, not fiction. So, this got me thinking about misinformation in a sales context. I mean, the whole ‘word of the year’ thing is obviously just a ploy by Big Dictionary to sell more dictionaries, right? Jokes aside, there can be misinformation in sales. The salesperson may not be telling prospects outright lies. But they could be, unknowingly, spreading misinformation. The problem with misinformation is that it can be insidious. People might not even be aware that they are doing it. Is your sales team spreading misinformation to your customers? To find out if your salespeople are spreading misinformation, you need to pinpoint where it could be stemming from. Sales reps don’t have a good grasp on the product or service they’re selling, so they fill gaps in their knowledge with misinformation. 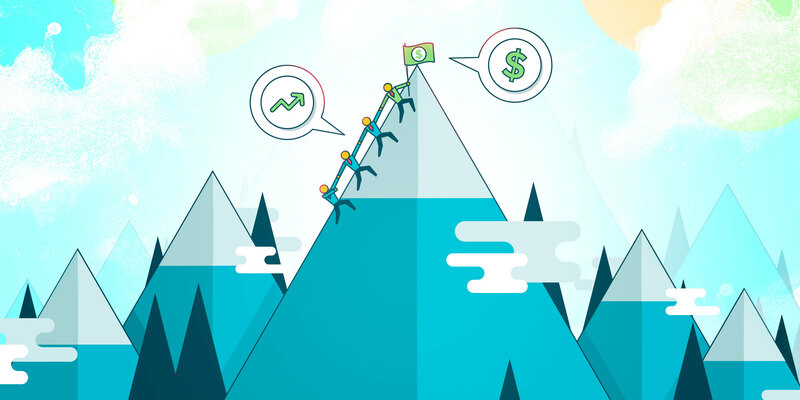 Issues with sales process and/or sales targets mean that sales reps are scrambling to make deals and telling prospective clients what they want to hear in order to close more deals faster. The salespeople aren’t properly qualifying their leads. By glossing over details that might show that the lead isn’t a good fit, misinformation can then help sales reps sell to less-than-ideal prospects. Sales reps need more confidence in their selling ability and more training on how to conduct an honest and effective sales process. Shore up your sales team’s techniques and processes in these areas to prevent the spread of misinformation in your sales. The bad news is that even if your sales team’s training, process, targets, lead qualification, and selling skills are all solid, misinformation might still find its way into your team’s sales. How? By not properly managing customer expectations during the sales process. 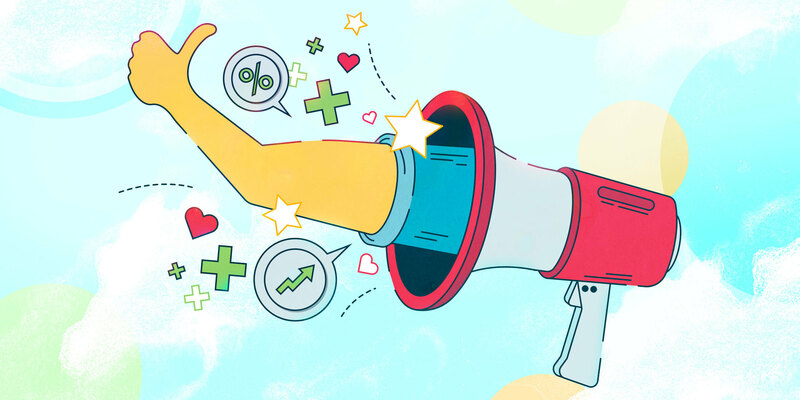 If there is any misunderstanding or misinformation involved in setting customer expectations, it can throw off the entire customer experience. One of the main selling points customers look for in today’s market is customer experience. How your sales reps handle client expectations during the sales process plays a big part in overall customer satisfaction. As a sales manager you want to nip any misinformation in the bud. Even the smallest of white lies or a bad habit of telling people what they want to hear will work against sales reps in the long run. If expectations are built on omissions and misinformation, your customers’ actual experience with your company won’t measure up. And your sales and reputation will suffer. Let’s take a look at some of the ways misinformation can sneak into the sales process, and how sales reps can better manage their prospects’ expectations. Some of the most common unrealistic commitments sales reps make involve timeframes and deadlines. When sales reps are guaranteeing impossible timelines out of optimism or just plain anything-to-make-the-sale laziness, your whole company suffers. Saying that you can have something ready by Friday in order to make the sale is fine if you’re a one-person team and sure you can fulfill this. But, unreasonable deadlines put undue stress on the colleagues who are in charge of deliverables. It undermines trust both internally and with customers when those deadlines inevitably go flying by or keep getting pushed back. Sometimes, unrealistic commitments and misinformation are less obvious.Misinformation can also be spread by omission, like if a sales rep doesn’t correct a prospect when they make a statement that’s not 100 percent correct or realistic. Take sales author Anthony Iannarino’s example of how sales rep silence can be viewed by the prospect as a commitment. Iannarino points to a time he had submitted to an RFP and was up against many competitors for the project. He knew there was no way to provide what the RFP had outlined, at least not in the way the client wanted it. He pointed out the discrepancies while other bidders just let it slide and agreed to the plan. He won the contract because he raised the issue when the others remained silent. 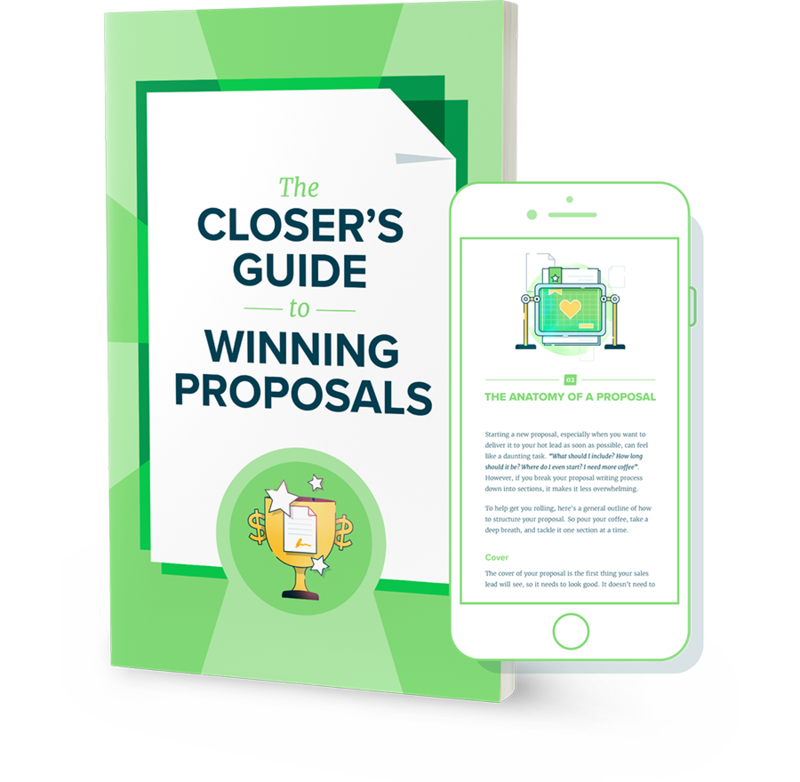 If the client had gone with one of the other proposals, they wouldn’t have found out until the deal was done that what they were asking was near impossible to deliver. The misinformed prospect then becomes a dissatisfied customer. Don’t let any misinterpretations or misunderstandings stand. Don’t shy away from asking questions, even if the prospect seems confident and sure in their information. Don’t be casual with important things, like deadlines. Try not to get caught up in and carried away by the excitement of the sale. Make sure all details being discussed are accurate and reasonable. Much like impossible deadlines, over-promising shifts the burden of delivery. Your company’s customer support reps are likely to bear the brunt of complaints when your sales team promises the moon and the stars, but the solution is decidedly earthbound. This could happen when your sales team doesn’t have a clear vision for where your product or service is headed. Maybe they are telling prospects that certain must-have features or offers are in the development queue, when said features are actually nowhere to be found on your company’s product development roadmap. That’s only going to leave the customer feeling duped when the promised features don’t materialize. The old adage is to underpromise and overdeliver. From the sales rep perspective, overpromising does sound better so it’s easy to see why sales reps wouldn’t want to promise less. The key is to promise what you can definitely deliver, then work on delighting customers by giving them that and a little more. Work with your product and development team so your sales team knows exactly what the future holds for your solution, and when. Even just saying that a requested feature is on the product roadmap can be misleading if the sales rep glosses over how long it will actually take to develop and implement. Though schedules can change as priorities shift, being as honest as possible with prospects about the projected timelines for new feature implementation will help keep expectations in check. There’s a reason we encourage Proposify users to include a statement of work or another similar section in their proposals. A statement of work lays out exactly what is and isn’t within the scope of the current contract or deal. Not only does this prevent scope creep on your end, it keeps client expectations for the project in check. If there’s no scope outlined, and sales reps just keep saying, “Yeah, we can take a look at that.” or some other wishy-washy, misinformed response, customers may consider it as good as done. In reality, those tasks or features were never part of the project. That might come as a surprise to the client, who is believing what they want to believe when the sales rep is telling them what they want to hear. This also highlights the need for good documentation. Even if you don’t use proposals or other formal written sales documents, your salespeople need to keep a record of sales meetings, conversations, and other touch points to avoid false impressions. If there are any disagreements down the line, it can be vital in sorting out where any misconceptions stemmed from. The devil really is in the details. The more comprehensive your statements of work and other sales documentation, the less opportunity for misunderstandings and bad surprises. No vague answers. Sales reps should commit to a yes or a no, or provide additional context. “Yes, we can add a social media campaign, but it will cost $X extra and we’ll have to alter the project timeline.” It’s also okay for salespeople to say they’re not sure and will get back to the customer with the information (as long as they actually do). Being non-committal or giving no answer is worse. So, how do you know in the first place if misinformation is finding its way into your sales team’s selling process? And, how do you know if your strategic account management adjustments have made a difference? The answer is to watch the metrics. There are account management KPIs that touch on customer expectations and experience. 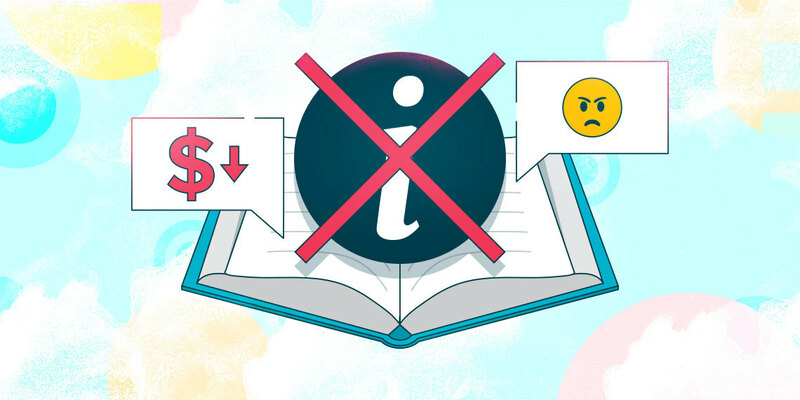 These can help you investigate where misinformation might be assisting your sales reps in closing deals, but then losing those same customers when the experience doesn’t live up to the hype. Is your customer churn rate out of control? As you’re probably well aware, some amount of customers leaving your company’s fold is completely normal and to be expected. But, if your churn rate is skyrocketing, misinformation and poor customer expectation management could be the culprit. Misinformation during the sales process can result in a higher than normal volume of support outreach to fix. Misunderstandings start to come to the surface as misinformed clients start working with your product or service. Look at the customers who reach out to support most often and with the most complicated issues. These support ‘frequent flyers’ may have experienced misinformation in the sales process. In any case, their expectations are not lining up with the reality of their experience. Take care to also document the reasons for their support outreach to help pinpoint where their experience is falling short. Satisfied customers refer others. Customers who feel confused or mislead definitely don’t. A dip in the amount of referrals coming in could be a sign that your sales reps aren’t managing expectations properly. Again, clients whose expectations are being met or exceeded are more likely to stick with a product or service provider. They will renew their contract and buy more. Customers who are underwhelmed will be gone at the first opportunity, or even sooner if they feel they aren’t getting what they were expecting. Your sales reps build solid customer relationships that last through proper account management and an honest sales process. Help your sales reps avoid the stealthy and subtle trap of misinformation and gain more happy, loyal, and valuable customers.